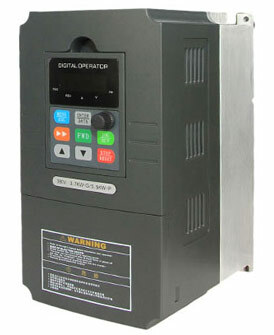 Variable frequency drive (VFD), also called frequency inverter, variable speed drive (VSD), adjustable frequency drive (AFD). This article is about the basic guide of how to select a VFD. The correct selection of the variable frequency drive (VFD) is critical for the normal operation of the mechanical equipment electrical control system. To choose the best suitable VFD, we need to know the specified machinery type, the load torque characteristics, speed adjusting range, static speed accuracy, the starting torque and the environment, then determine the control pattern and protective structures of the VFD. There are three mechanical torque load types: constant torque load, constant power load and fluid load. In such loads, the load torque TL is unrelated with speed n, TL is always keep constant or approx constant at any speed, the load power is linear increased along with the load's speed increased. 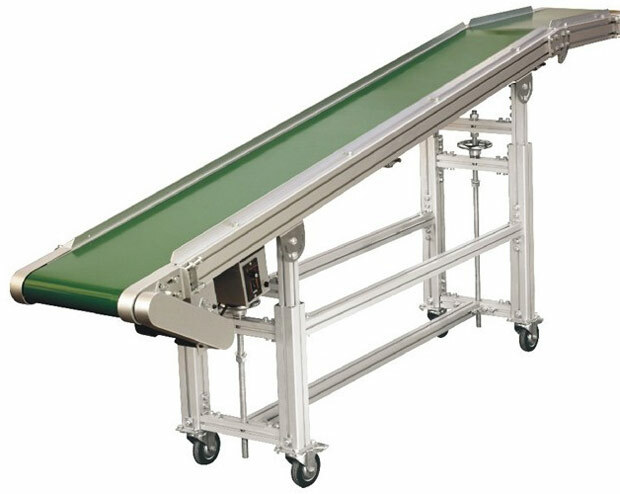 Conveyor, agitator, extruder and mechanical equipment etc. friction loads, and crane, hoist, elevator etc. gravity loads, are all constant torque loads. When the VFD drags constant torque loads, the output torque should be large enough at low speeds and has strong overload capabilities. If the AC motor needs operation at low speed steady in a long time, we should consider the cooling capacity of the standard cage asynchronous motor to avoid the motor temperature goes too high. The feature of the constant power load is the torque TL is roughly inverse proportional to the rotational speed n, but the power remains constant approximately. The spindle of metal cutting machine tool spindle, mill, paper machine, film production line coiler, uncoiler, etc., all are the constant power loads. The nature of constant power of the load is in a certain speed range terms. When the speed is very low, TL can not increase indefinitely due to the limitation of the mechanical strength, then convert to constant torque nature at low speed. Constant power area and constant torque area has big influence on the selection of transmission scheme. When the motor at constant flux speed adjusting, the maximum allowable output torque constant, is constant torque speed control; While in weak magnetic speed adjusting, the maximum allowable output torque and speed is inversely proportional, is constant power speed control. If the motor's constant torque and constant power speed range is consistent with the load's constant torque and constant power speed range, that so-called "matching", the size of the VFD and motor are minimal. This type of load's torque is proportional to the square of the speed, power is proportional to cube of the speed. All kinds of fans, pumps and oil pumps are typical of fluid loads. 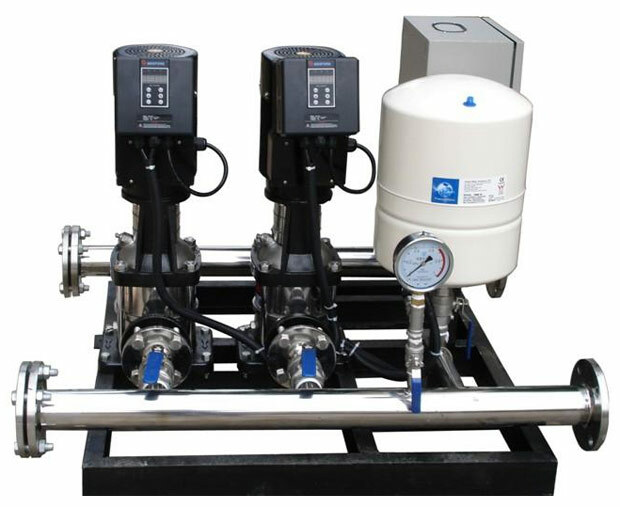 Fluid loads are controlled by VFD to regulate air flow, water flow, which can save energy significantly. Due to the fluid load demand in high speed increases too fast, is proportional to the cube of load's speed, so we should not make this kind of loads in over frequency operation. About universal VFD selection, it is a topic concerned by lots of people, here we share some basic guidelines about how to specify a VFD. The most critical selection factor: working current. Actually, choose the variable frequency drive according to the working current is the final step in the entire selection process. Here is to emphasize. Sizing the VFD according to the motor actual operating current (not the nameplate current) rather than the nameplate power. In an application, the first step is selecting the motor, then the VFD, means the VFD is selected based on existed motor. The operating current of the ac motor is related with the actual working conditions. Estimate the motor operating current changeable relationship under certain working condition, in order to determine the appropriate VFD models. Generally, for driving constant torque motor, selecting the VFD based on the rated current. For example a 10 hp motor, 15A rated current, can choose a 10 hp VFD, 17A output current. In general, driving the loads like fans and pumps, also can select the VFD based on the rated current. For frequent short-time overload running motors, it is necessary to calculate the overload cycle, it requires the VFD maximum output current Imax is bigger than the peak current of the motor, and the VFD's I2t is within its allowable range. It may select a higher level VFD. For example 10hp motor, 15A rated current. Intermittent duty, one second overload two times (ie current is 30A), then stop running 29 seconds. In this case, specifying the VFD according to its overload curves. In this aspect, Gozuk VFD is doing well, generally 2 times short-time overload capacity. 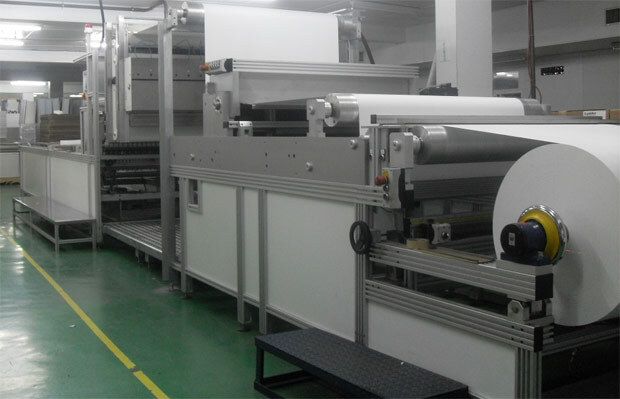 For large motor large, if the work load is light, we can select a smaller VFD according to the actual situation. Ambient temperature, transport and storage temperature, enclosure. Input line voltage level, frequency, VFD output frequency range. The VFD efficiency, overload capacity, cooling methods. The most important is specifying the VFD according to practical application, not just the guide on paper. I have a 0.8 kW helical gear type 3 phase 380 V induction motor with brake and clutch type for roller conveyor application controlled by soft starter. Now we are going to change the motor without gear type due to the clutch and brake problem in the previous one and we are having a spare motor Ordinary type without gear type 10HP (220V-380V, Delta -Star) and a speed range (2920-3500 rpm). The output speed for the previous one was 58 rpm and average load on the roller was 8 to 10 ton. The power transfer is done by sprocket and chain. My Questions are 1) Can we use 10hp motor for this application? 2) Do we need a VFD? 3) How can we select a motor for this application? 4) How can we select a VFD according to the application? You can change to another type, but your best bet would most likely be to add some VFD to the previous type motor, and simply keep the clutch closed at all times. This would ensure timely acceleration of your belt, without any need for a motor that is rated many times the actually required power. With your new proposed motor you might still need some brake, to only apply when the motor is already stopped, if you have selected such a big motor in order to bypass thee helical gear. If you keep the helical gear, there should be no need for an actual brake, since a VFD can act to reduce the speed to zero in a controlled fashion. In order to determine motor and VFD suitability - you need to define how fast you want the load to accelerate and move up etc. One also must be careful about using a VFD as a brake for safety concerns. i have 117 kw induction motor ,3 phase ,415 v for inclined conveyor belt ,with inclination of 22 degrees ,i want to use VFD or soft starter ,please guide. I have 11kw motor which running with star delta starter. How to do wiring with VFD. Could I use direct on line starter if I want to use VFD. Greetings, I have 220/230 single phase input and need a VFD sufficient to run a single motor on a manual engine lathe of 7.5 hp 3 phase with 20.6A full load rating, any help? Thanks, Nate.